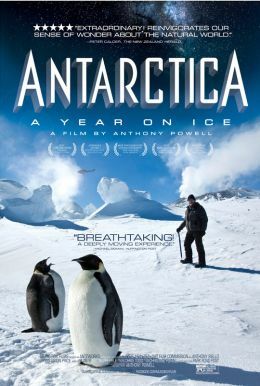 ANTARCTICA: A YEAR ON ICE is a visually stunning journey to the end of the world with the hardy and devoted people who live there year-round. The research stations scattered throughout the continent host a close-knit international population of scientists, technicians and craftsmen. Isolated from the rest of the world, enduring months of unending darkness followed by periods when the sun never sets, Antarctic residents experience firsthand the beauty and brutality of the most severe environment on Earth. Capturing epic battles against hellacious storms, quiet reveries of nature's grandeur, and everyday moments of work and laughter, this unique documentary shows a steadfast community thriving in a land few humans have experienced. Using specially modified cameras and spectacular time-lapse photography, filmmaker Anthony Powell captures the splendor of the region like no film before.